A round up of the latest Star Trek action figures and figurines for you today, including TOS and TNG characters in quite a variety of styles. First up, a new twist on a classic, in the latest retro cloth figures from Diamond Select Toys. 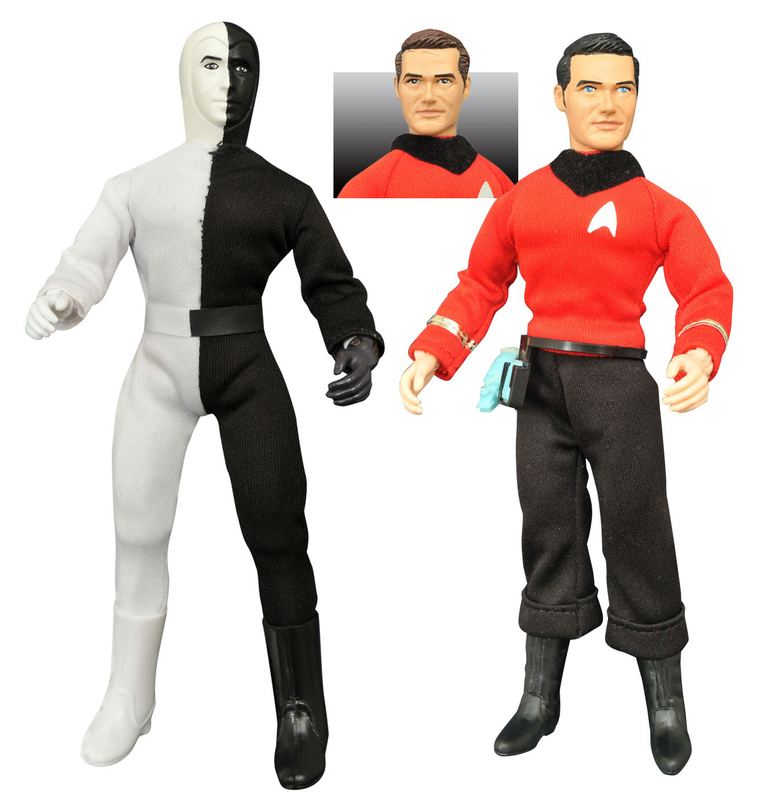 After recreating the classic Mego figures a few years ago, and adding a few new characters while they were at it, DST are currently in the midst of reissuing the range in time for the anniversary year. But they're also expanding it once more! 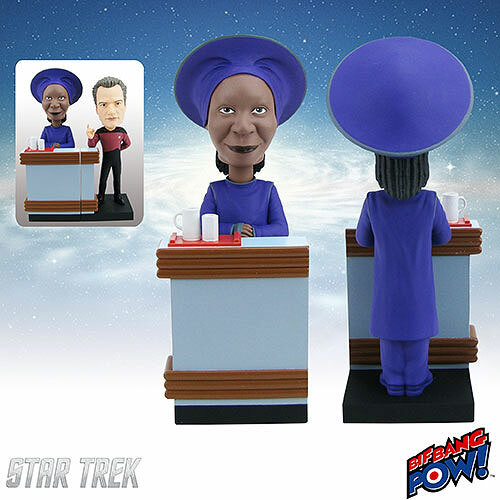 Due to arrive in May, the latest pair of figures will be a Cheron, and a red shirt. 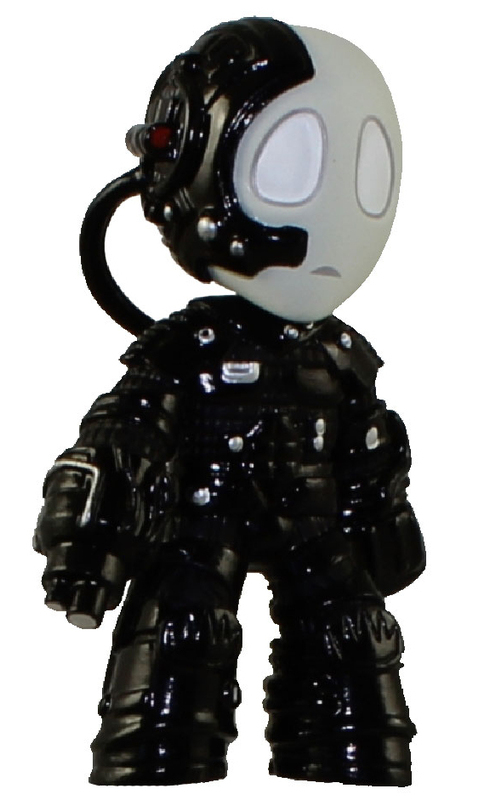 Now we've had a Cheron figure before, but this time they're switching the black and white sides, so you can complete your recreation of Let That Be Your Last Battlefield, with Lokai to pair with the previously release Bele. The new generic security man has a twist too, as there will be two variants on offer, with either brown or black hair, and one with officer rank stripes. 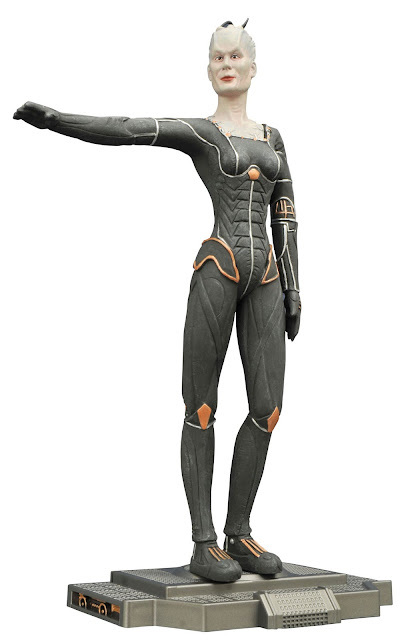 Also coming from DST in May is a new statue of the Borg Queen, the third in their Femme Fatales range. Apparently this one will cater a little for play as well as display, as the head is to be removable, in the style of the Borg Queen's iconic entrance in First Contact. 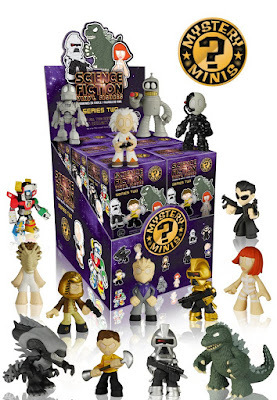 At a smaller scale, Funk have recently released a second series of science fiction themed Mystery Minis figurines, which include two Star Trek characters Locutus, and Kirk (Amok Time version). 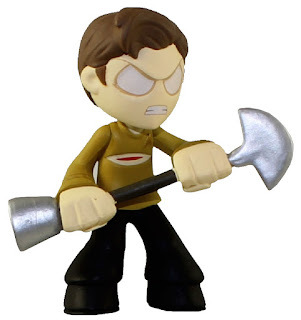 The Kirk figure is a companion to the previous Spock figure in Funko's first series of sci-fi Mystery Minis. Like that series the rest of series two is a diverse range of characters from sci-fi film and TV. Finally, back with DST, they have given a couple of hints at what we can expect to see coming up in the Star Trek Select action figure range. In the most recent Q and A blog they revealed the next character will be Khan (hopefully the movie version, as they already did one TV era one in the same release as the Star Trek Select Kirk figure). 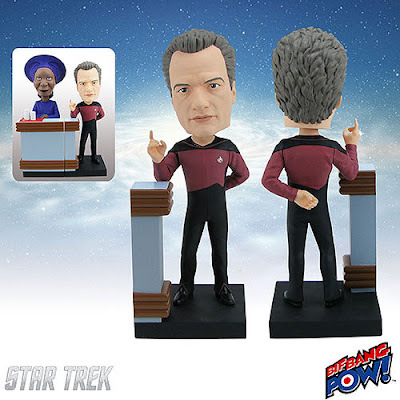 In the Q and A post prior to that they also mentioned one up coming Select figure will have a captain's chair too - It's not clear if this means we'll get something like Khan in the Reliant chair, or whether these point to two different figures. To keep up to date with all the forthcoming Star Trek toy releases, hit the "Models, Toys, and Games" button on my 2015 and 2016 schedule pages. And for listing of the various Star Trek toy ranges, check out my toys index page on Trek Collective Lists, where among others you'll find complete lists for the retro cloth, Femme Fatales, and Mystery Minis series. The redshirt figure with the head shown attached appears to be Mr. Scott--I wish I could get him without the Cheron figure. HAHA!! I love that boss-eyed Borg queen!